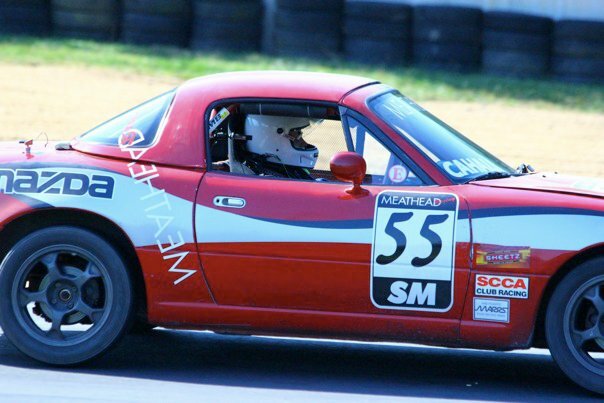 Larry Cahall is an SCCA Club Racing enthusiast that drives as part of the Meathead Racing team in the Washington DC region at Summit Point. 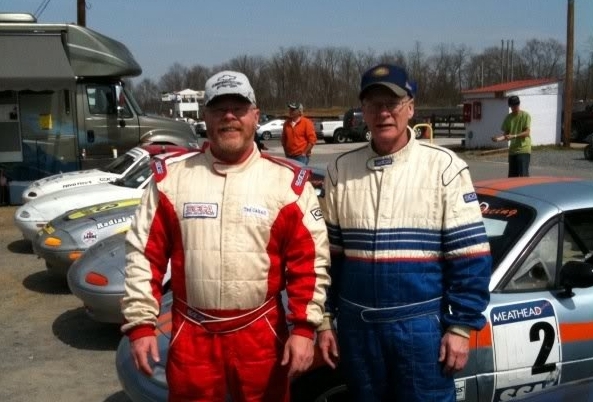 Larry obtained his SCCA Club Racing Regional Competition License after he completed MARRS 1 and MARRS 4 in 2010. He also obtained his National Competition License after completing 6 races total for 2010. His goal is to race the fabled Watkins Glen in 2011. At the beginning of 2010, Larry had the graphics on his car upgraded. He had a minor fender bender before MARRS 4 in the practice session which he captured with his camera. Larry Cahall (right) and his brother Ted (left) are pictured below.